Seth and Mike. Seth MacFarlane and Mike Henry. Mike is most known for his voices in Family Guy. Most notable, Cleveland Brown.. Wallpaper and background images in the Seth MacFarlane club tagged: seth macfarlane mike henry family guy cleveland brown. 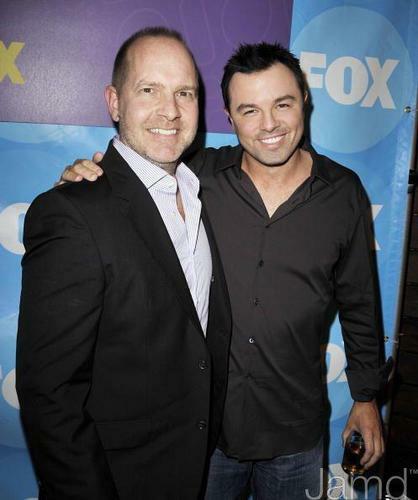 Seth MacFarlane and Mike Henry. Mike is most known for his voices in Family Guy. Most notable, Cleveland Brown. This Seth MacFarlane photo contains business suit. There might also be suit, suit of clothes, three piece suit, and slack suit.